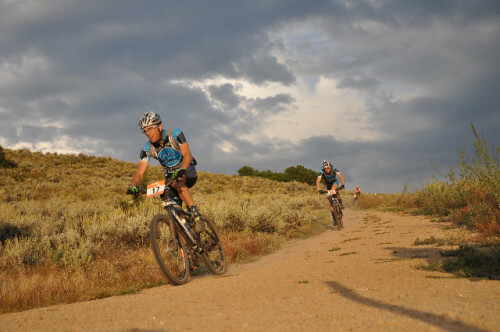 The Park City Point to Point Mountain Bike Race is this Saturday, September 5th, in Park City, Utah. We asked organizer Jay Burke to fill us in on the best places to watch, and what makes the P2P a great race. Jay: The fact that Park City has such a diversely huge trail system, it blows me away that you can be riding in the high desert terrain of Round Valley and within 25 miles you’re in the deep coniferous forest. Couple that with the fact the race is 90% singletrack and it never uses the same trail twice or crosses itself. Where are the best places to watch and when? Jay: The start is in Round Valley at 7AM, they do a 14-mile loop in Round Valley and then come back past the start, they actually finish at Canyons Resort. The race passes through each resort here in Park City, and both Deer Valley Resort and Park City Mountain Resort are great places to see the action. All of the racers get two lift tickets for a scenic ride up Deer Valley and to the first support station – a lot of racers have supports that watch the action there. Another great spot is at mile 56, at this is at the bottom of Park City Mountain Resort (bottom parking lot near first time lift). Of course, the finish is always fun, watching the racers complete this grueling course. This year a guy by the name of Zach Deputy will be playing at 6PM, should be some great live music. Jay: In the women’s division we have three Colorado racers I feel will be very evenly matched, Evelyn Dong (former Parkite), Kelly Boniface, and Marlee Dixon. They should be pushing one another the entire distance. It is one of the strongest fields I’ve seen on the women’s side. Anyones guess this year on the men’s open side with six-time champ, Alex Grant, absent as he is racing worlds in Spain. I expect to see Rob Squire pushing it hard out front early on. I think Josh Tostado will be a threat, he’s such a great trail rider. There are a bunch of local guys I feel could be in there too, Drew Free, Nate Miller, just to throw a couple names out. I really think we have a very evenly matched Open Men’s field this year. Tell us about what makes your prize list stand out? Jay: This year we have a $12,000 Cash purse on the podium and $6,000 in-kind awards – and that is only on the Podium (5 Deep in each of 9 Categories)! As well, each of our age group category winners take home a check. We’ve got great partners, Scott Sports has been our title sponsor for the last four years and they are so kind to us. Additionally we have SRAM, GoalZero, Zeal Optics, JayBird Headphones and Klean Kanteen. All these partners are at the Presenting Level and have helped greatly in off-setting our hard cost or have contributed cash to our payout. Who is the event sponsored by? Jay: I mentioned some key players above, not that they all aren’t, but we also have product sponsors like Helly Hansen, Hutchinson Tires, RAMP Sports, and TruckerCo. It’s no secret that the P2P has one of the best racer raffles around, we try to give everyone a chance to be a winner at the P2P! Jay: Of course, I’m never short for words! The race isn’t possible without the commitment of Park City organizations like Park City Municipal, Basin Recreation, Summit Land Conservancy, Mountain Trails Foundation and the two resorts (Deer Valley and Park City ). The trail system here is really second to none, and the race is simply a product of all their efforts.